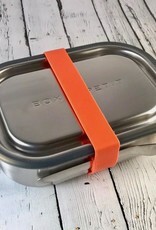 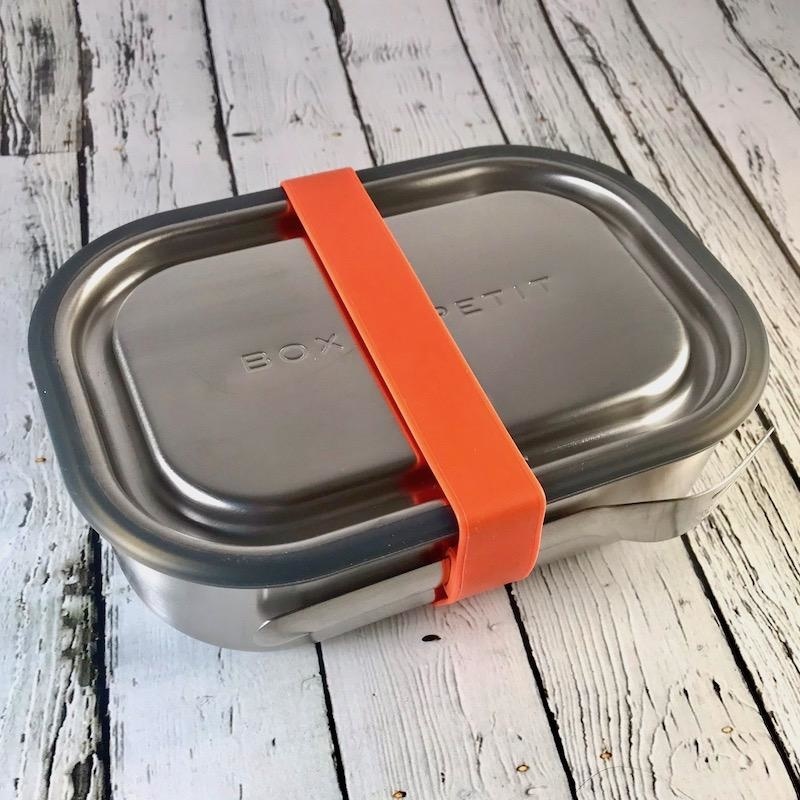 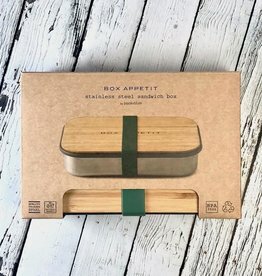 Stainless steel sandwich box with natural bamboo lid and an olive silicone band (for an airtight seal). 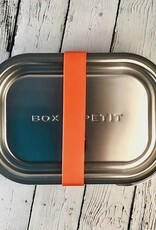 This sandwich box is perfect for traveling, packing your lunch, or for picnics! 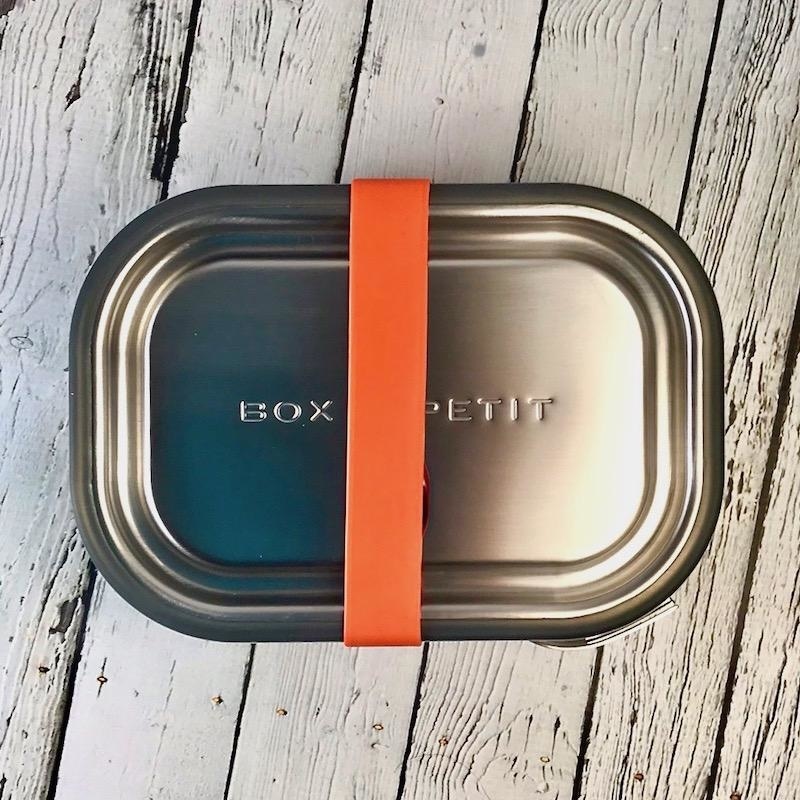 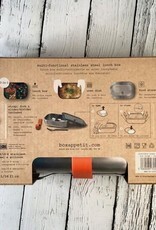 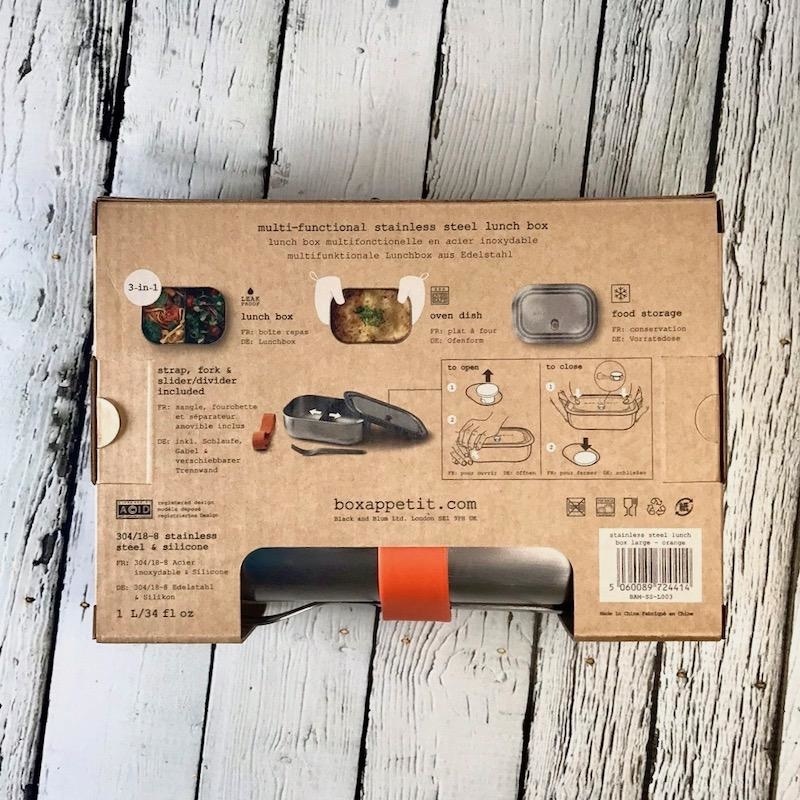 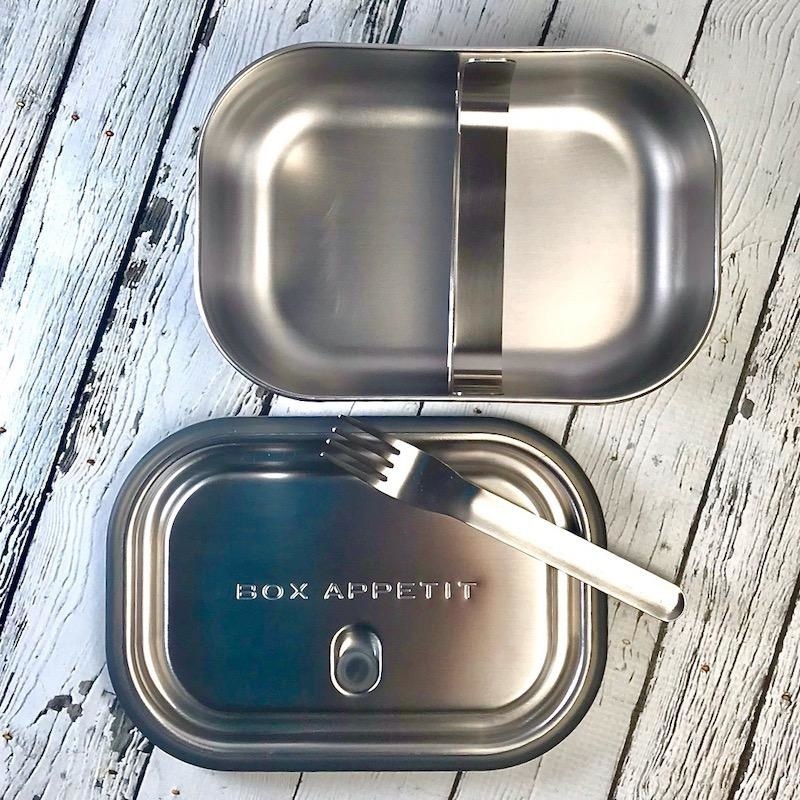 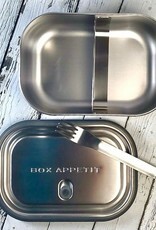 Food flask from Box Appetit keep food hot for 6 hours, cold for 8 hours, offers a vacuum seal, BPA free, and vegan leather for holding the plastic spoon. 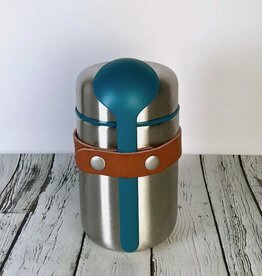 Can hold up to 13.5 fl oz. 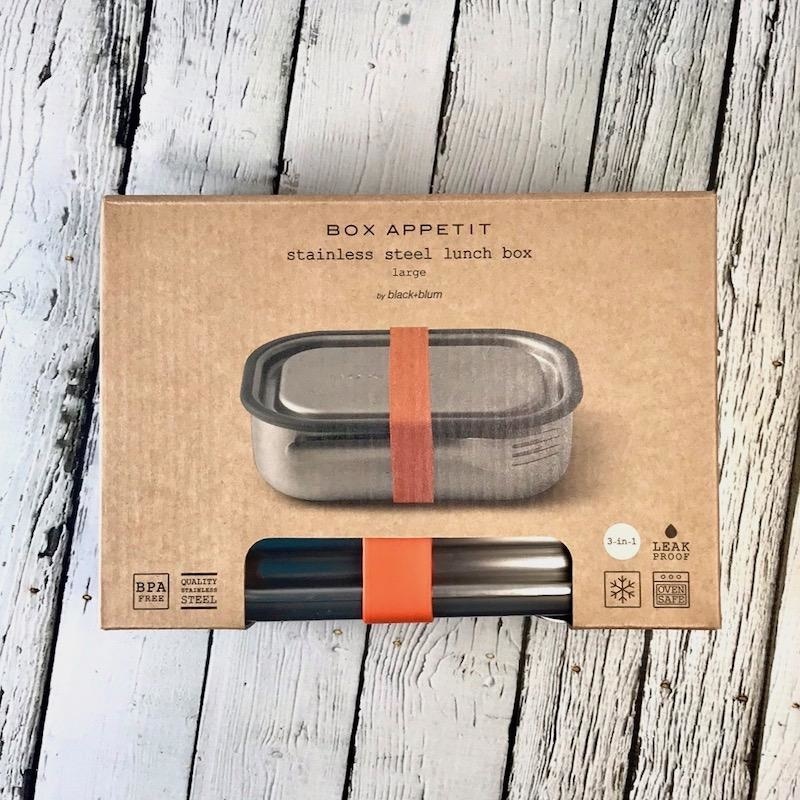 Stainless steel insulated water bottle by Box Appetit. 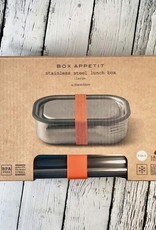 Offers 24 hours cold, 12 hours hot, vacuum seal, and leak proof. 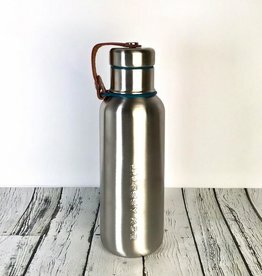 Can hold up to 17 fl oz.